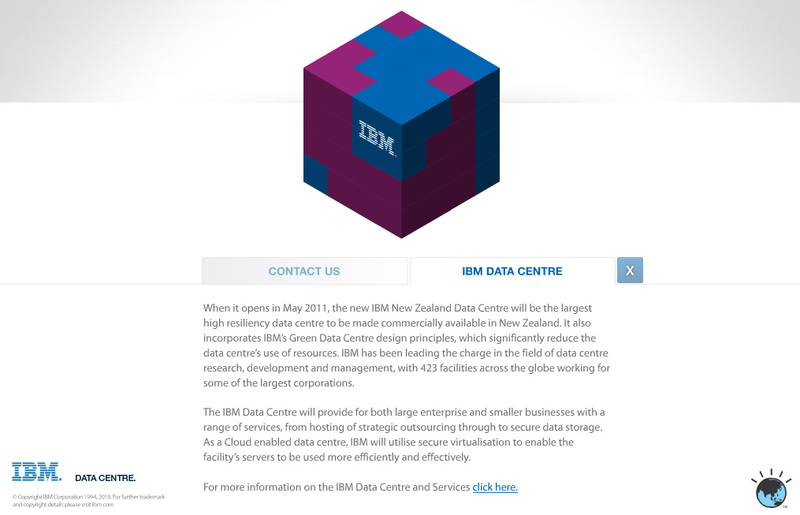 A microsite promoting IBM’s new Data Centre. 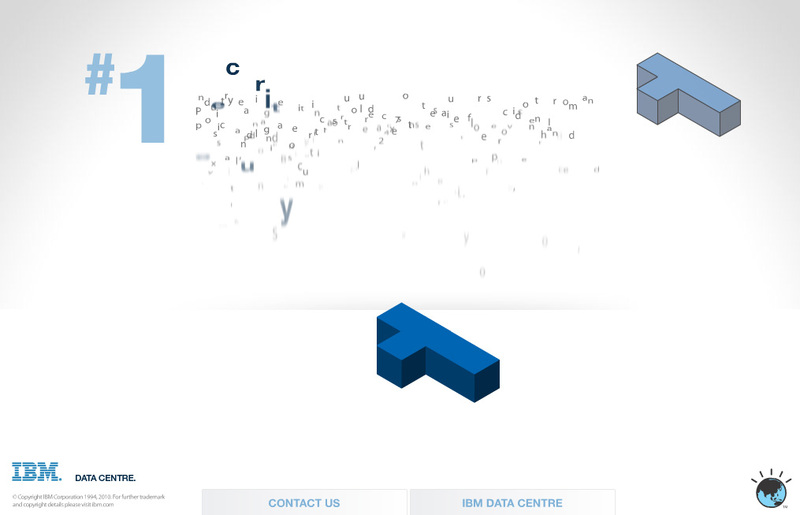 Physical pieces of a cube were sent to potential customers with the website url. 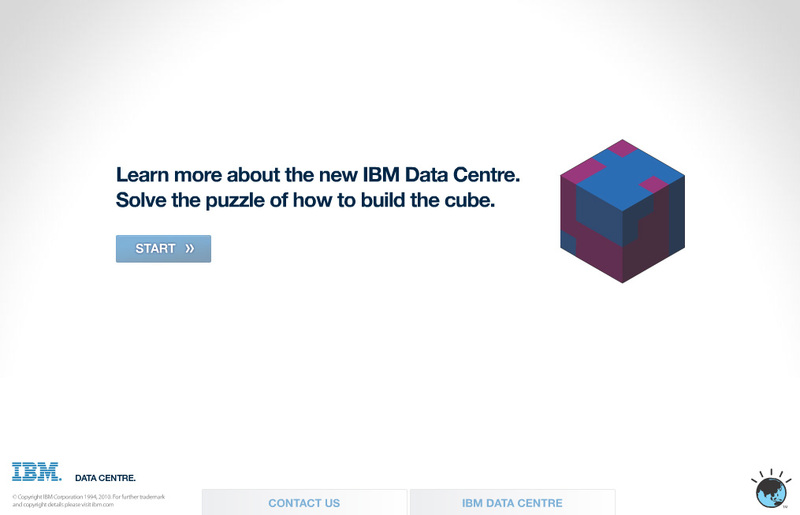 The customers were encouraged to follow through and build their cube while being taught about IBM’s new Data Centre advantages over other data solutions. 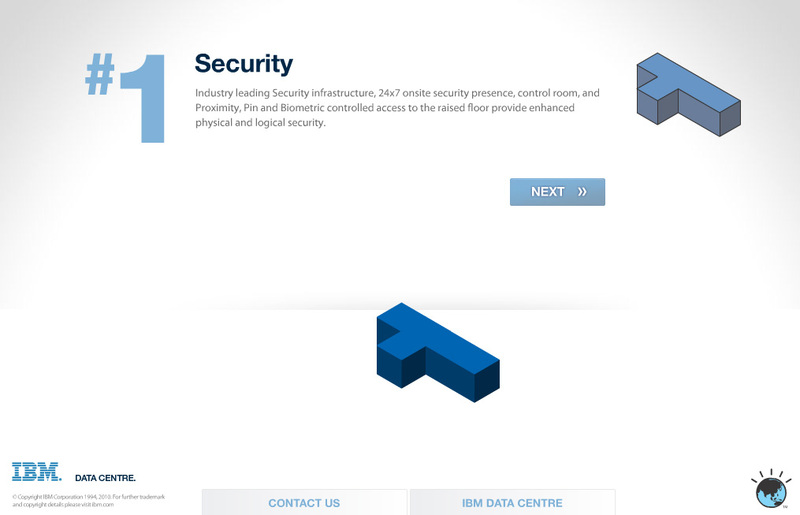 Role: I was responsible for building the microsite. The main problem to overcome was depth sorting of the cube pieces. 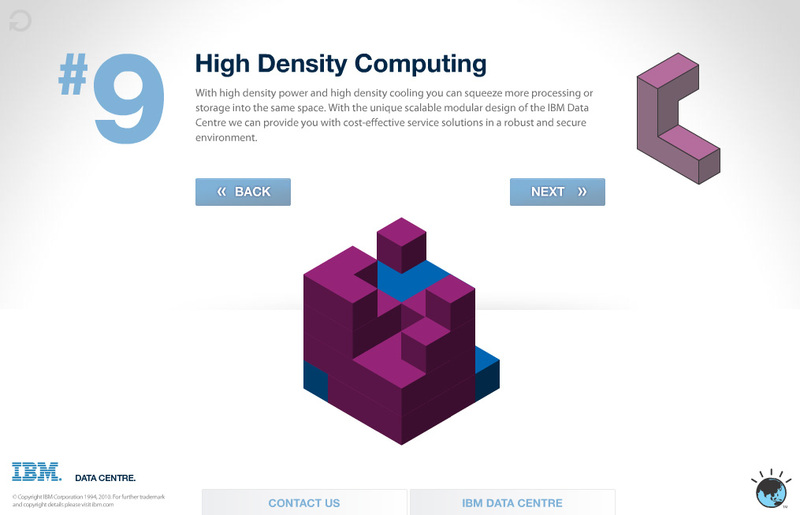 It was designed in an isometric view and needed to show exactly how it goes together. But the issue was they would overlap when showing the animation of how to piece together. I achieved correct depth sorting by breaking out each piece into individual cubes. They were then stored in a 3D array which gave their correct depth value. For each piece I referenced this array for the selected cubes and it was already depth sorted and slotted into place perfectly. Moving in from the top, left and right gave me enough options for all the pieces to go into place without overlapping.